Raise awareness of infant colic and Infacol as the leading colic treatment. 70% of mums haven’t heard of colic but they also value a good night’s sleep and are disturbed by a crying baby. The first six months of parenthood are stressful and being able to share concerns with experienced parents helps. 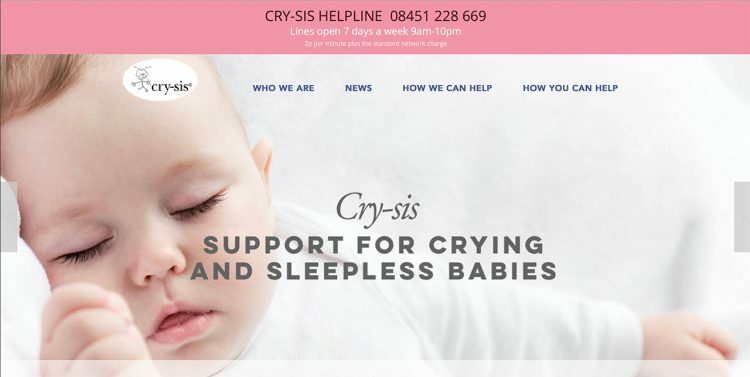 An educational campaign linked to Cry-Sis, the only charity providing support for crying and sleepless babies. This involved creating Colic Awareness Month, conducting research, developing a media relations campaign, working with parenting journalists and bloggers, creating case studies and providing a new website for Cry-Sis and a mascot for the campaign.